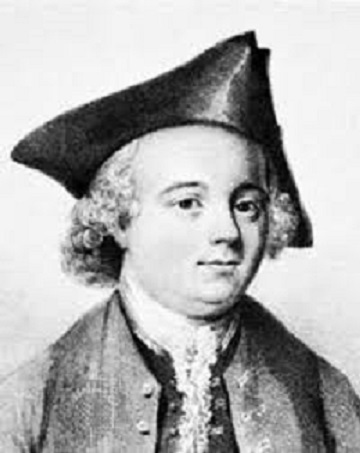 John Kay(1704- 1780) was an English machinist and an engineer who invented flying shuttle which was an important trail for automatic weaving. John Kay was born in Bury, Lancashire in England and was the fifth one of the 10 children to his father Robert. He was only educated by his mother until the age of 14. Then he joined his father’s woolen manufacturing mill to take in charge at a young age. He improvised dressing, batting and carding machinery in the mill. He indentured with a handloom reed maker but returned home within a month becoming master in the business. With this learning, he designed a metal substitute for the natural reed which became popular enough to be sold in England. Later traveling many countries along with making and fitting of reed wires, he returned to Bury in 1725 to marry a Bury woman. His wife was Anne Holte. They bore a daughter Lettice in 1726 and a son Robert in 1728. He continued with the improvisation of the textile machinery and Bury and in 1730 he also patented a cording and twisting machine for worsted. In May 1773, Kay obtained a patent of his most revolutionary invention called as the wheeled shuttle for the handloom. In traditional looms, the shuttle was passed through a warp thread manually by hands and wide fabrics required two weavers side by side who passes the shuttle from left to right and vice-a-versa. 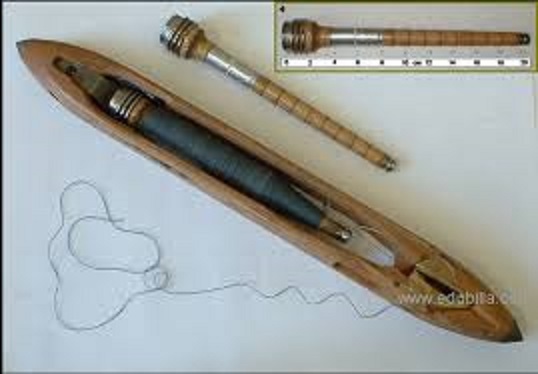 Kay mounted his shuttle on wheels in a track and paddles were used to shoot when the cord was jerked by the weaver. Using his invention only one weaver could weave more wide fabrics in less time. It greatly accelerated weaving saving both labor and time. Kay formed a collaboration in Colchester of Essex to start manufacturing of flying shuttle in July 1773.No competition from industry was expected as it was the first kind of device in that modern era to improve productivity. But by September 1773, the flying shuttle was protested by Colchester weavers as they were concerned for their livelihood and pleaded King to stop this invention. He also tried to promote his invention in Bury but woolen manufacturers were not convinced to accept that it is more robust. He spent the next two years improvising it further than the patented device. In 1738, Kay obtained royalty collection from Leeds which was 15 shillings per shuttle as an annual license fee. In 1753, Kay’s home was attacked by textile workers and Kay has to run to France where he died in 1870 due to poverty. In 1763, Kay was a married clockmaker in Leigh and his neighbor was Thomas Highs who also was an inventor. They both collaborated in the experiments of textile machinery that included thread spinning with the help of rollers. 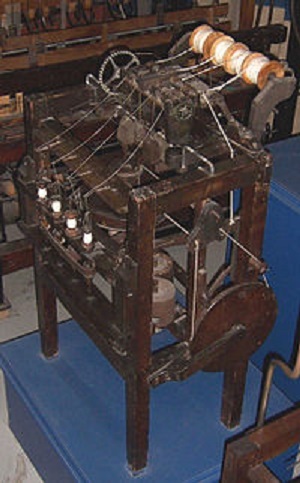 By the year 1763, Although weaving was automated spinning was still done manually. They made many trial machines and dedicated three years of their lives to research but due to lack of capital, they were not able to make any perfect design. The above painting is the 10th in the historical sequence and was 10th in the order of completion by Ford Madox. This painting was highly criticized as John Kay did not belong to Manchester. 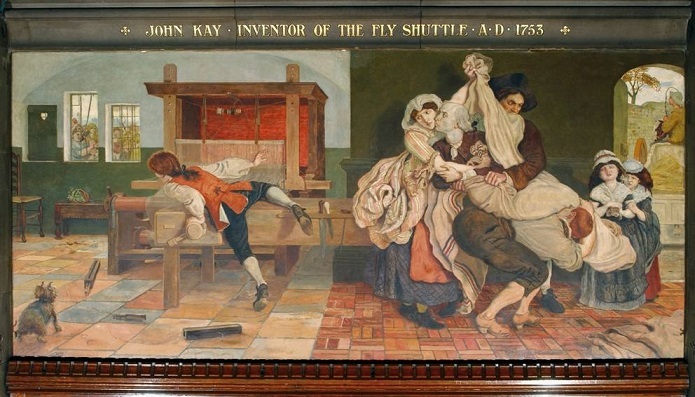 In this painting, Kay’s invented machine the flying shuttle is lying on the floor under the window at the looms side. The machine consists of two boxes fastened to the loom that gets fired to the shuttle. As few workers were needed, the invention was the subject of protest at that time. That painting shows the legendary scene where Kay tries to escape from his house before rioters reach his house by breaking its windows. He bids goodbye to his wife by kissing while she was wrapped into a blanket by two men who were to take her to waiting cart. the two little girls are distraught. His son is informing his father about the progress of rioters spreading himself across the loom while protecting it. The family dog is barking furiously crouching in the left-hand corner. Thus Kay though being a hero doesn’t look likes one and the invention is hardly being looked upon as a glorious milestone. However Brown tries to show the sympathy with the bystanders lie the anxious wife of Kay, their dismayed children’s and also the mob that included women and the farmers with their pitchfork. Kay had become a local hero for people of Bury. There are many pubs and gardens named after Kay in Bury. The town center has 1908 memorial to John Kay by William Venn Gough. His son Robert resided in Britain where he developed a drop box which allowed looms to utilize multiple flying shuttles simultaneously that enables multicolor weft.